Highly anticipated drama “The Legend of the Blue Sea” has revealed new posters featuring its leads Jun Ji Hyun and Lee Min Ho. 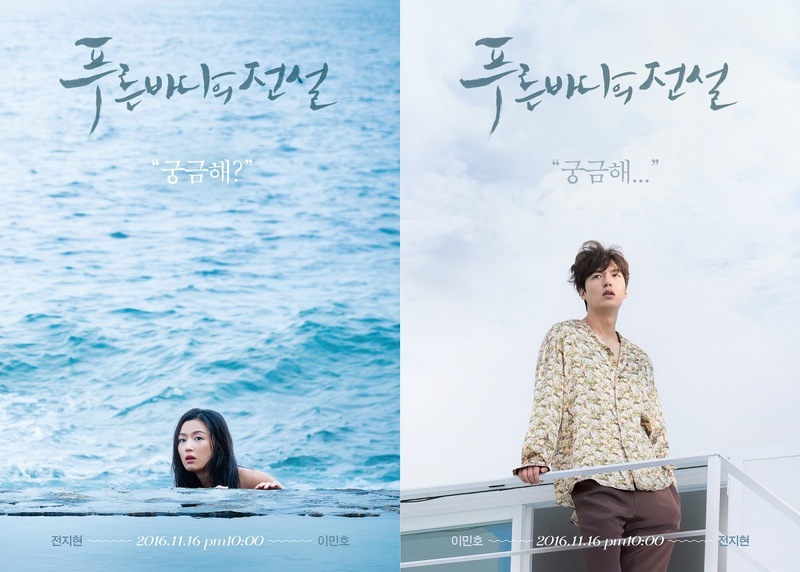 “The Legend of the Blue Sea” tells the story of the meeting between the last mermaid on earth and a con artist. The drama is described as a fantasy romance that promises fun and laughs as it delves into the past and present. The first episode is scheduled to air on November 16 and will be available exclusively on Viki.